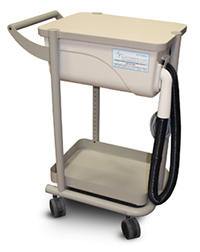 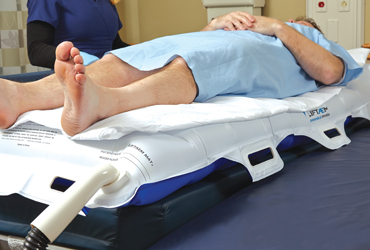 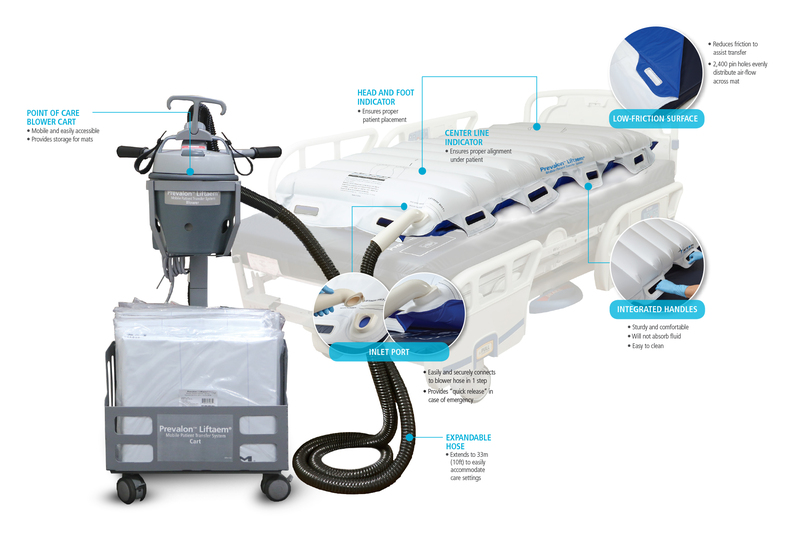 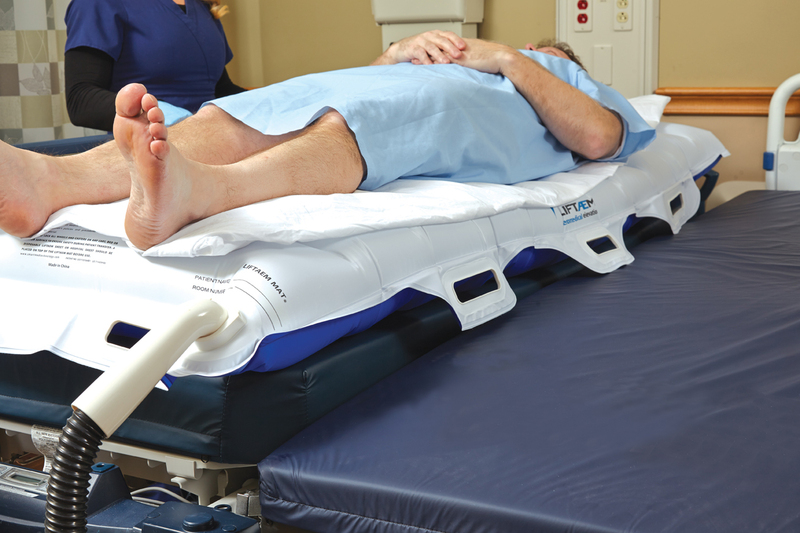 The Prevalon Liftaem System uses a cushion of air to transfer your patients from one surface to another with less pulling and without the need for lifting. 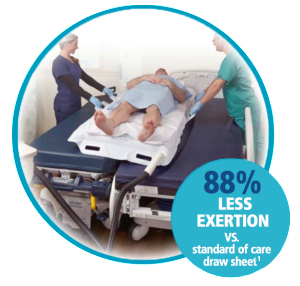 In fact, this innovative device requires 88% less exertion than the standard of care draw sheet.2 It’s also designed to remain with your patient and provide transfer assistance throughout a hospital stay, whether the patient is in the operating theatre, Cath Lab, or patient care rooms. 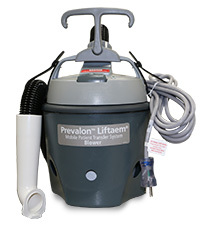 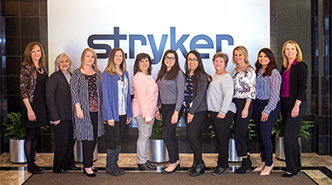 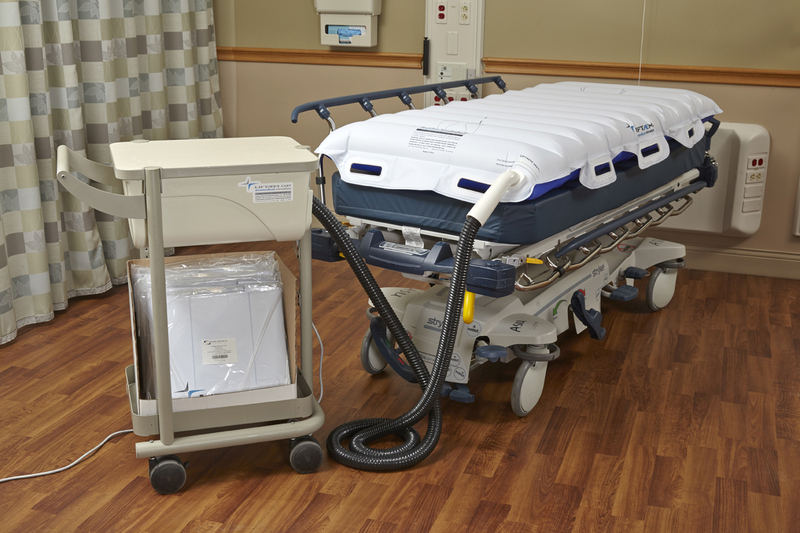 When used in conjunction with an evidence-based protocol, the Prevalon Liftaem System can help reduce your risk of injury and eliminate potential costs to healthcare systems.